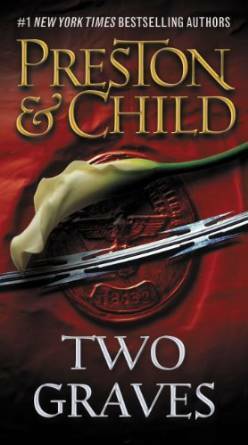 Two Graves is the end of the mini-series inside the Pendergast novels. We have Helen returning and being kidnapped at the end of the last book, but we relive it here from her perspective. From there, Pendergast searches for revenge, and goes up against the Nazi organization. This wasn't a re-read, and another book I missed. This was somewhat amazing, with Pendergast almost giving up on life when Helen is killed, retreating to his apartment where neither Corrie, nor D'Agnosta, nor even Violet can get him to come out. However when a series of strange murders take place in hotels, with the killer appearing on film and leaving DNA, Pendergast gets involved. He thinks it's Diogenes somehow alive, but comes to find out he has a son. And not one, but two. This is quite an exciting ride, from the frustrating disengagement of Pendergast early, to the tenacity in the jungles of South America.